Glory to God Almighty who has made it possible for us to witness another Easter 2018 again. Easter is not a public holiday to eat and drink but an holiday set aside to reflect on the good things God has done for us through the death and resurrection of His Holy Son Jesus Christ. I tell you this that there are ANSWERS AT THE CROSS to all the questions you have in this world. 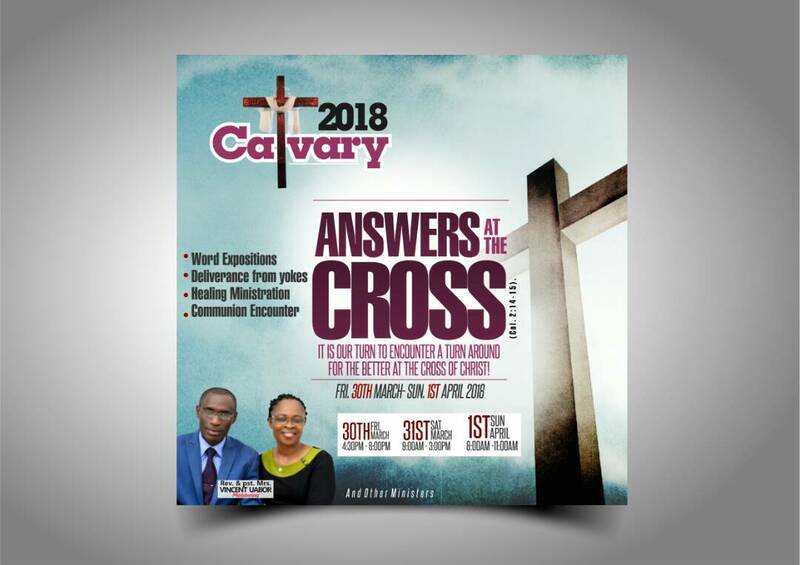 Make it a date with us as we approach the Cross to get the ANSWERS to all questions this weekend the 30th of March to 1st of April 2018. God bless you as you participate. ng>CLICK HERE TO JOIN NOW!! !